Comings and goings in the world of football including some new international appointments. Philippe Troussier has been named coach of Chinese Super League team Hangzhou Greentown. • Ramon Diaz, who guided River Plate to six Argentinian league titles and the 1996 Libertadores Cup, was named coach of Paraguay. • Former Valencia coach Juan Antonio Pizzi replaced Gustavo Matosas in charge of Mexican side Leon. • Aleksandr Khatskevich was appointed coach of Belarus, two months after the resignation of Georgi Kondratiev. • Former Yugoslavia and Croatia midfielder Robert Prosinecki is the new head coach of Azerbaijan, succeeding Berti Vogts who stood down in October. • Hamza Hamzaoglu left his position as an assistant coach with Turkey’s national team to take charge of Galatasaray for the rest of the season. He replaces Cesare Prandelli, who was sacked after a 2-0 defeat by Anderlecht in the Champions League. • Brazilian Jorvan Vieira resigned as coach of Kuwait ahead of the Asian Cup after a 5-0 loss to Oman saw them eliminated from the Gulf Cup of Nations. 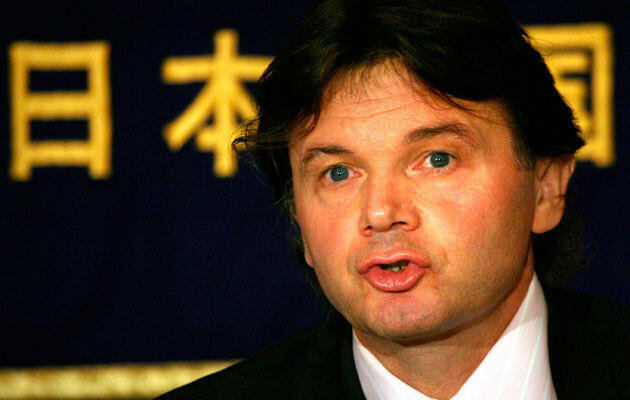 • Frenchman Philippe Troussier, who led Japan to the last 16 of the 2002 World Cup, was named coach of Chinese Super League team Hangzhou Greentown. • Former France and Arsenal striker Thierry Henry left New York Red Bulls at the end of the MLS season after his side’s 4-3 aggregate defeat to New England Revolution in the Eastern Conference Championship play-off.